Honda civic exi prosmatic 10/10 condition. Only one piece touchups. Never got an any accident. Dedicated petrol cng never installed. Expensive Vossen Alloys rims GT Radial tyres both are recently installed. LCD, back camera all power gadgets working smoothly. you can see in pics car driven with extra care. first owner tax up to date. only geninue buyers r welcome price little bit negotiable. 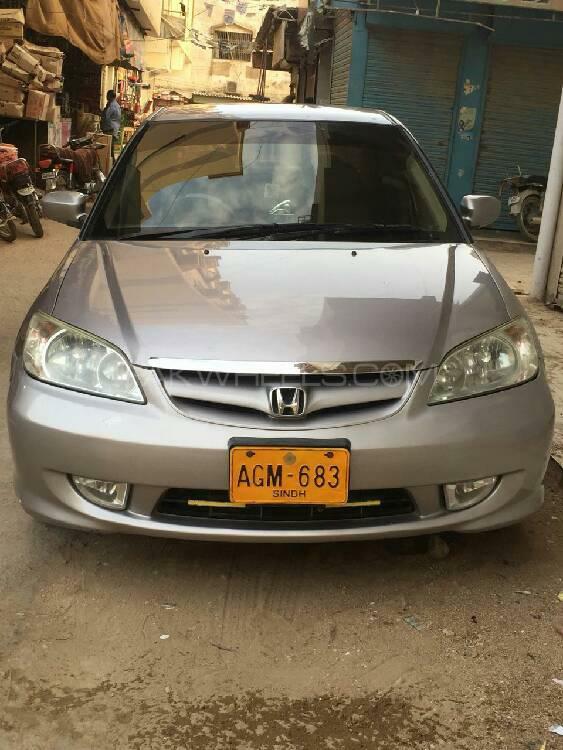 Hi, I am interested in your car "Honda Civic EXi Prosmatec 2004" advertised on PakWheels.com. Please let me know if it's still available. Thanks.